If you need another reason to advocate for the legalisation of marijuana, a new study shows why weed sold illegally on the street is more likely to have unacceptable levels of faeces in it. Scientists at the Universidad Complutense in Madrid gathered 90 samples of cannabis from street dealers in and around Madrid, then tested the products to determine if they were “suitable for human consumption”. The results, published in the latest issue of Forensic Science International, found that 83 per cent of the tested samples were not suitable. Because they had too much literal crap in them. Specifically, the samples had traces of Aspergillus fungus and E.coli bacteria. 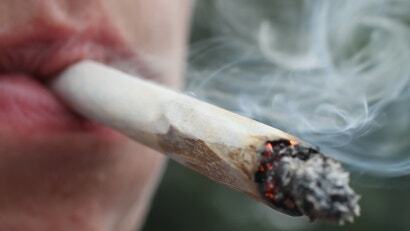 The researchers deemed the poop-weed “a public health issue”. After buying the weed, the research team split it all into two groups based on the shape of the package the drugs were sold in — packages in an acorn shape and packages shaped like a block. The study showed that 29.4 per cent of the block-shaped samples had traces of faeces, while 93 per cent of the acorn-shaped samples had traces of faeces. Speaking to Spanish newspaper El País, one of the researchers on the study, pharmacologist José Manuel Moreno Pérez, explained the reason he believes the acorns are far more likely to have poop in them: Smugglers often swallow the acorn-shaped bags, which they call “bellotas”, then travel from Morocco to Spain. The study mentions that cancer patients are increasingly medicating with cannabis and that these patients may have weakened immune systems that can make them more vulnerable to contaminated drugs. And when users handle the poop-weed, they could get bacteria on their hands. Even though the researchers only tested marijuana in Spain, the swallowing method is also used by smugglers who bring drugs into other countries.